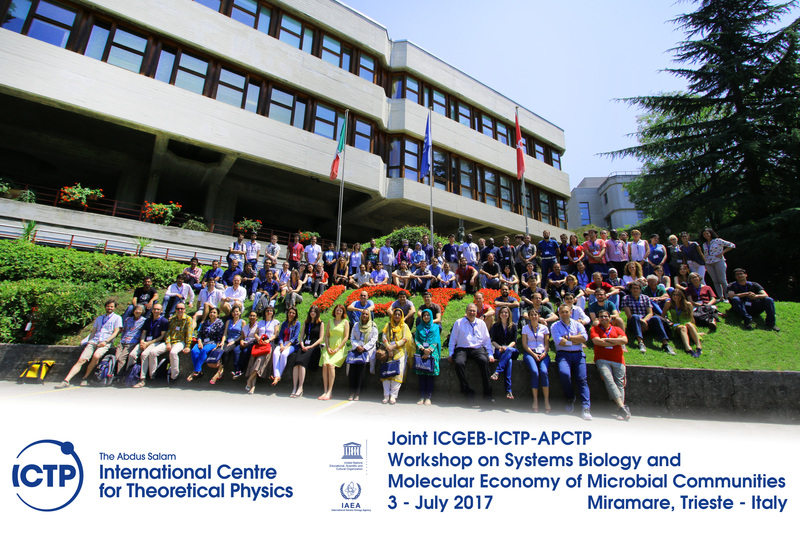 The Abdus Salam International Centre for Theoretical Physics (ICTP) in collaboration with the International Centre for Genetic Engineering and Biotechnology (ICGEB) and the Asia Pacific Center for Theoretical Physics (APCTP) is organizing the Workshop on Systems Biology and Molecular Economy of Microbial Communities, to be held in Trieste from 3 to 7 July 2017. Every living cell needs to solve a complex resource allocation problem. Most microbial cells typically address this task within a spatially structured, variable environment, where a myriad of different cells are concurrently allocating their own resources. Will we ever understand the dynamics of these communities, their diversity and stability? A fundamental theme in the study of human-associated microbial communities, the tension between metabolic requirements of individual cells and the global molecular budget of a whole cell population is at the heart of open biomedical challenges. The key element in addressing these questions is their multiscale nature: mutations and regulation happen at the level of individual genes; metabolic processes involve the balance of cell-scale pathways; biomedically relevant phenotypes depend on the interactions among multiple cells in heterogenous environments. The Workshop aims at bringing together researchers interested in the principles underlying microbial community dynamics and organization, both from an experimental and a mathematical/computational perspective. Participants will compare different methodologies to better integrate quantitative approaches and data gathering efforts, including the creative use of new mathematical tools, high performance computing algorithms and new ways of integrating experimental measurements and computational models. A limited number of grants are available to support the attendance of selected participants, with priority given to participants from developing countries (see list here) and ICGEB Member State nationals (see list here). The Asia Pacific Center for Theoretical Physics (APCTP) supports a limited number of participants from the Asia Pacific Region. Specifically, participants holding nationality of APCTP Member Countries (see list here), particularly those at the early stages of their career, can apply for grants to support their participation. Grants can partially cover the airfare and/or local expenses. Participants from non-member countries are not qualified for the grant in principle, but a limited exception may be considered if participants are affiliated at APCTP partner institutes (see list here).